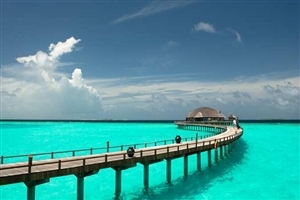 Set on a picturesque tropical island ringed by deliciously white sand beaches and stunning turquoise lagoons, The Sun Siyam Iru Fushi is a beautiful location for a Maldives holiday. 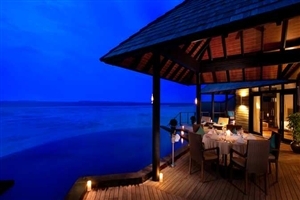 Comprising of Villas situated on the beach or on stilts above the pristine lagoon, The Sun Siyam Iru Fushi is ideal for guests visiting on a romantic break, honeymoon or family adventure. 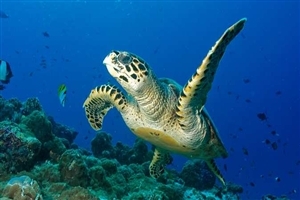 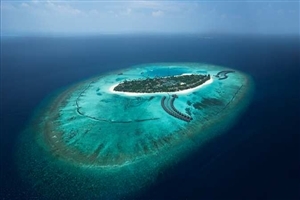 At The Sun Siyam Iru Fushi, you have the opportunity to choose from 10 fabulous restaurants and bars, relax in the Maldives’ largest spa and explore the stunning underwater world with a spot of scuba diving. 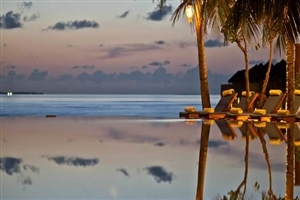 Located on its own private island in the sparkling Indian Ocean, The Sun Siyam Iru Fushi offers excellent quality, comfort and style in a stunning tropical setting. 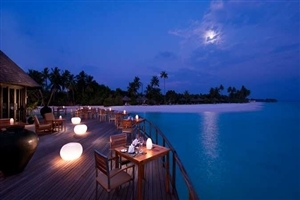 Experience the Maldives holiday of your dreams with a stay at The Sun Siyam Iru Fushi, whether you’re travelling as a couple seeking a romantic escape or a family wanting an unforgettable treat. 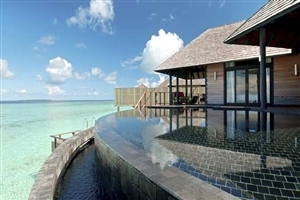 Comprising of Villas situated on the golden sand beach or on stilts above the ocean, The Sun Siyam Iru Fushi offers a tempting blend of intimacy and incredible sea views. 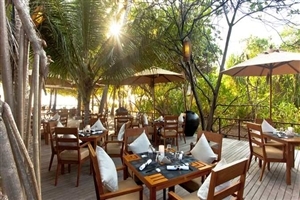 Facilities at The Sun Siyam Iru Fushi include 10 tempting restaurants and bars showcasing the finest flavours from around the world, the Maldives’ largest spa and scuba diving equipment that will allow you to explore the surrounding underwater world. 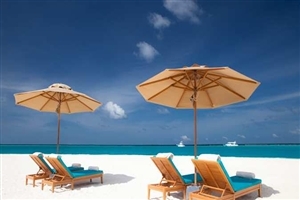 Please note: Sun Siyam Resorts prohibit the use of drones within or above the resort to maintain safety and tranquility. 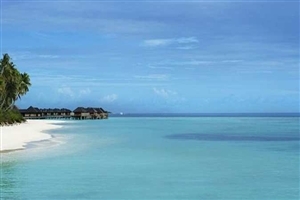 The Beach Villa at The Sun Siyam Iru Fushi is positioned in a secluded nest on the sandy beach, far enough away for intimacy, yet close enough for glimpses of the turquoise lagoon. 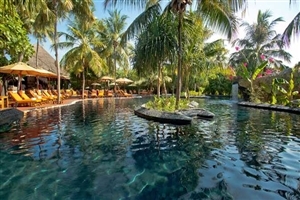 All Beach Villas are available with a spa bath, a large sundeck, a gazebo and a rain shower. 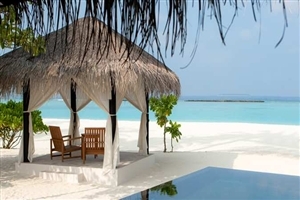 The Deluxe Beach Villa at The Sun Siyam Iru Fushi are positioned in a secluded nest on the sandy beach, far enough away for intimacy, yet close enough for glimpses of the turquoise lagoon. 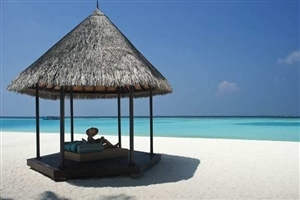 All Deluxe Beach Villas are available with a spa bath, a large sundeck and a rain shower, plus a gazebo on the beach, ideal for relaxing beneath. 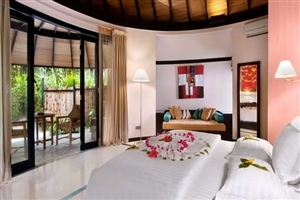 The Deluxe Beach Villa with Pool at The Sun Siyam Iru Fushi is set on the shores of the sandy beaches and features its own private garden area with a lavish swimming pool for you to enjoy the Maldives climate. 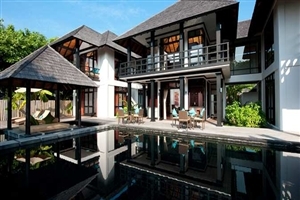 The Family Deluxe Beach Villa with Pool at The Sun Siyam Iru Fushi is a generously spacious accommodation elegantly designed with plenty of comfort as well as a private swimming pool for all the family to enjoy. 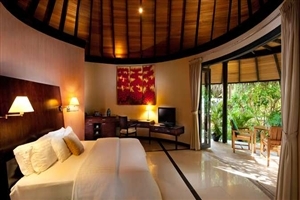 The Pool Beach Villa at The Sun Siyam Iru Fushi is available with a private beach cabana and even its own wine cellar, perfect for enjoying your surroundings with a refreshing glass of wine. 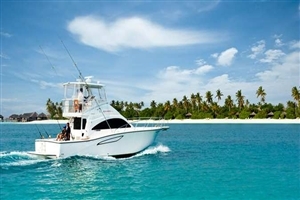 Upgraded amenities also include a Bose home theatre system and two rain showers. 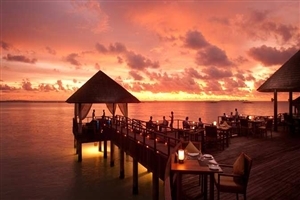 The Water Villa at The Sun Siyam Iru Fushi is perched over the stunning Indian Ocean lagoon, allowing for stunning vistas across to the horizon. 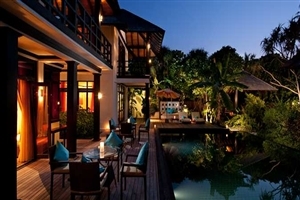 The Water Villas feature a private furnished sundeck and an impressive Bose home theatre system. 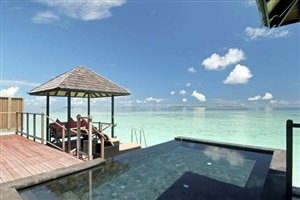 The Horizon Water Villa at The Sun Siyam Iru Fushi is perched over the stunning Indian Ocean lagoon allowing for stunning vistas across the horizon. 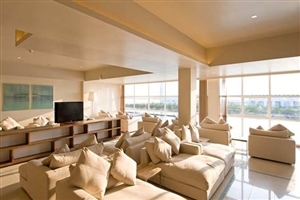 The Horizon Water Villas are equipped with wireless internet access, a dining table, a spacious living area, a flat-panel television and a Bose sound system. 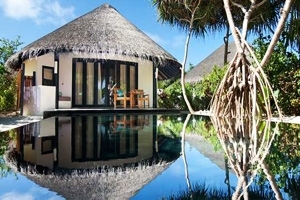 The Sunrise Deluxe Beach Villa at The Sun Siyam Iru Fushi is tucked into the verdant island gardens for added privacy without limiting the beautiful views across the Indian Ocean lagoon. 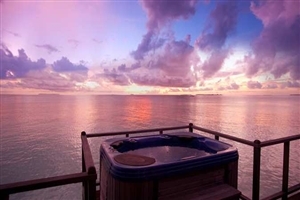 Featuring a front terrace, a rain shower and a beachfront gazebo, the Sunrise Deluxe Beach Villa is positioned to enjoy spectacular sunrises every morning. 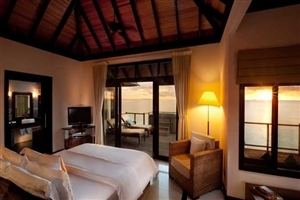 The Sunset Horizon Water Villa at The Sun Siyam Iru Fushi is distinguished by its private balcony or sundeck, from which to enjoy spectacular sunsets every evening. 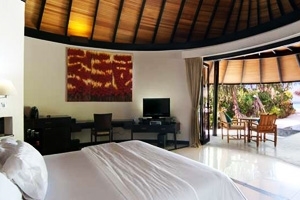 All Sunset Horizon Water Villas include internet access, a separate living area, a Bose sound system and fruits. 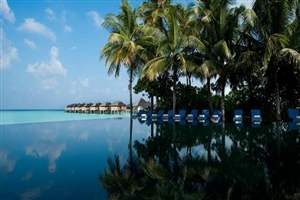 The Infinity Water Villa at The Sun Siyam Iru Fushi takes pride of place over the turquoise Indian Ocean, providing unbroken views from the spacious sundeck and the refreshing lava stone infinity pool. 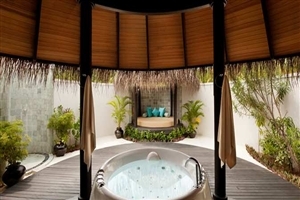 Experience luxury in the i-spa bathtub, which overlooks the private deck and lagoon, while the shower room also features glass-floor viewing panels. 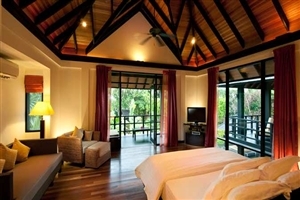 The Hidden Retreat at The Sun Siyam Iru Fushi is a generously spacious accommodation that provides comfort, style and service for travelling groups and families. 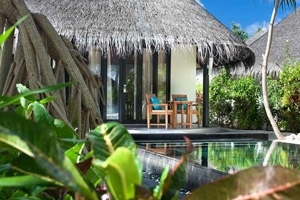 All Beach Villas are available with a spa bath, a large sundeck, a gazebo and a rain shower. 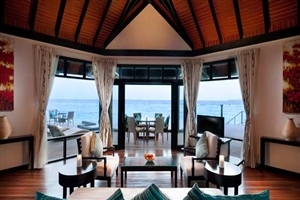 The Aqua Retreat at The Sun Siyam Iru Fushi is an opulent accommodation elegantly fitted to the brim with modern amenities and enough room to roam for groups and families. 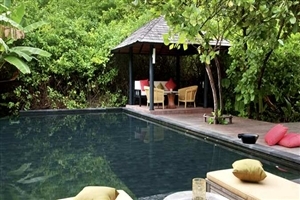 All Beach Villas are available with a spa bath, a large sundeck, a gazebo and a rain shower. 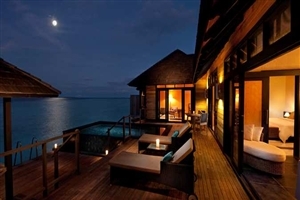 The Celebrity Retreat at The Sun Siyam Iru Fushi is a palatial accommodation whose lavish decor makes for a setting truly reserved for groups looking for something uniquely special to highlight their holiday. 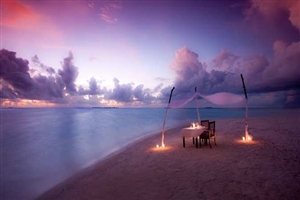 All Beach Villas are available with a spa bath, a large sundeck, a gazebo and a rain shower. 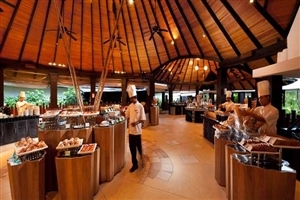 Teppanyaki – Japanese iron-griddle eatery.